Elevator Shanty on White Bear Lake. Photo by Emily Fishman. Elevator Shanty Interior. Photo by Jayme Halbritter. 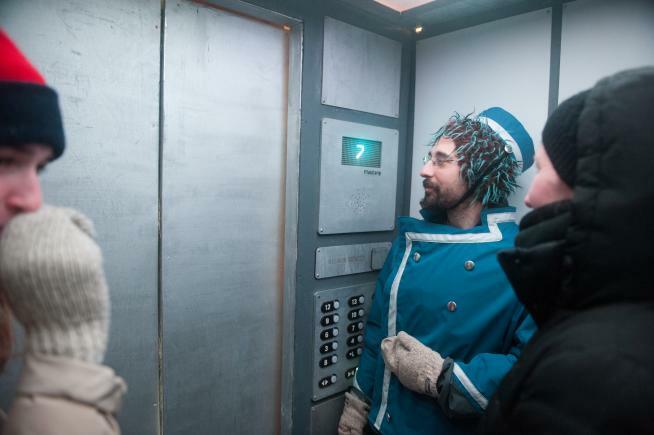 With elevator themed music, puns, and general rowdiness the Elevator Shanty will surely take you to new heights. 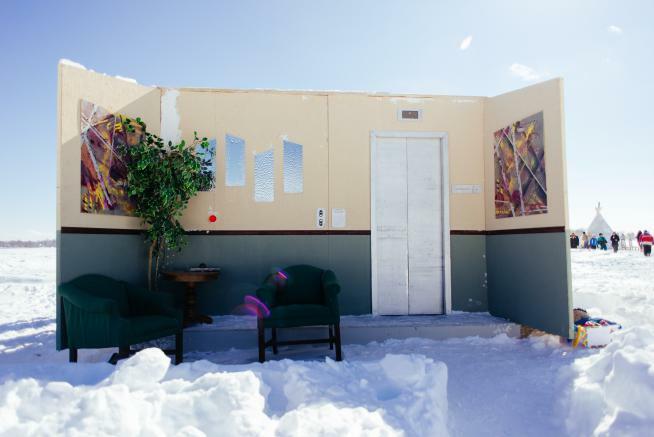 One of five 2014 Art Shanty Projects exhibited at Northern Spark. Team credit: Cali Mastny, Claire Alexander, Dan Bayn, Rachel Bendtsen, David Bryan, Lauren DeSteno, Laura Gerald, Marc Gutman, Caly McMorrow, Matt Mackall, Aaron Prust, Scott Raleigh, Cole Sarar, and Beth Scudder.